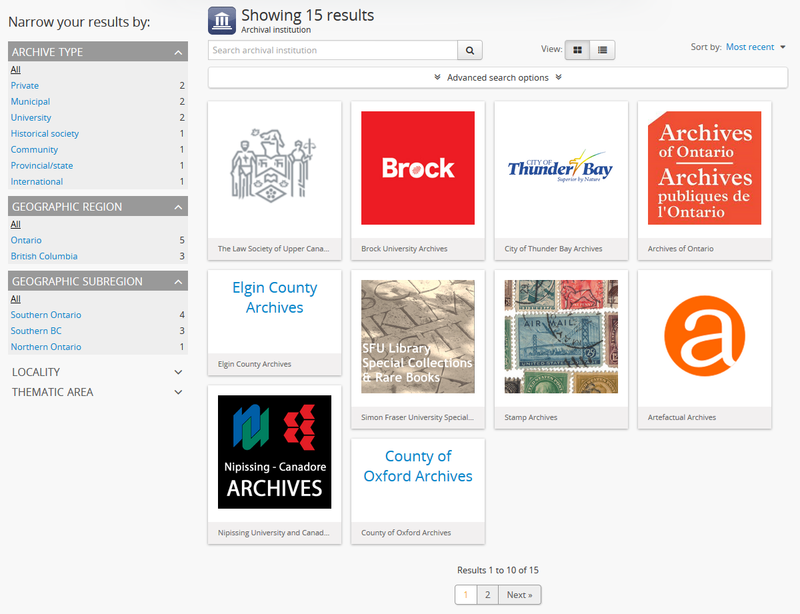 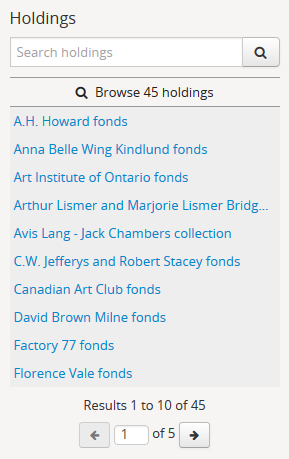 When arriving on the archival description browse page, a top-level description filter is engaged by default, meaning that all results shown are parents with or without children, but without any higher levels of description above them in the hierarchy. 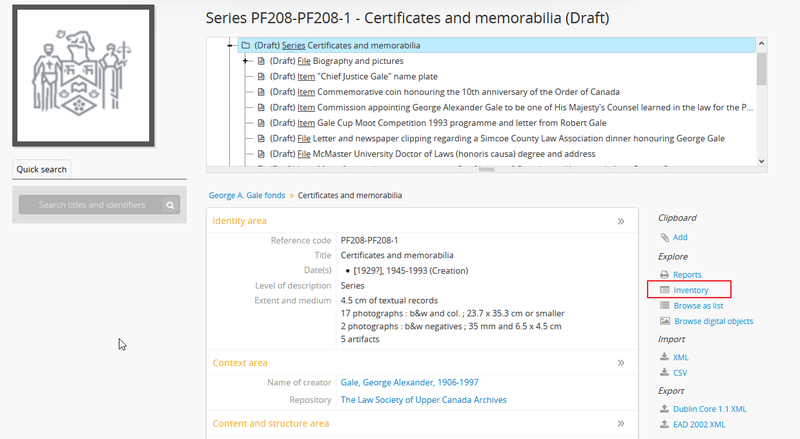 Users can disengage this filter by either clicking the X on the “Only top-level descriptions” filter tag at the top of the results, or by changing the radio button settings on the top-level description filter in the left-hand facet filter sidebar, above the levels of description facet. 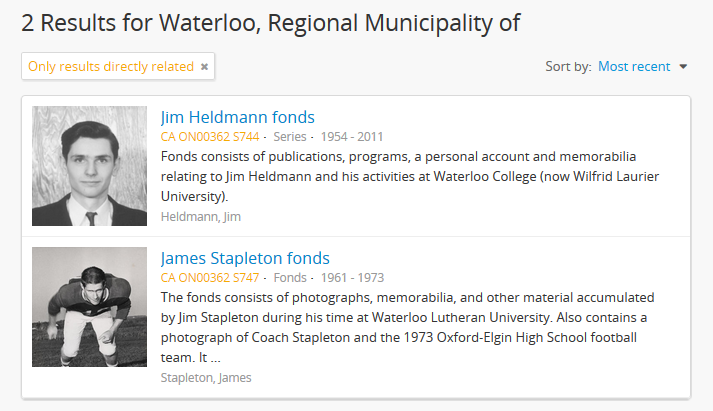 Make sure that the top-level descriptions filter is turned off - by default, AtoM will display only top-level parent records when arriving on the Browse page. 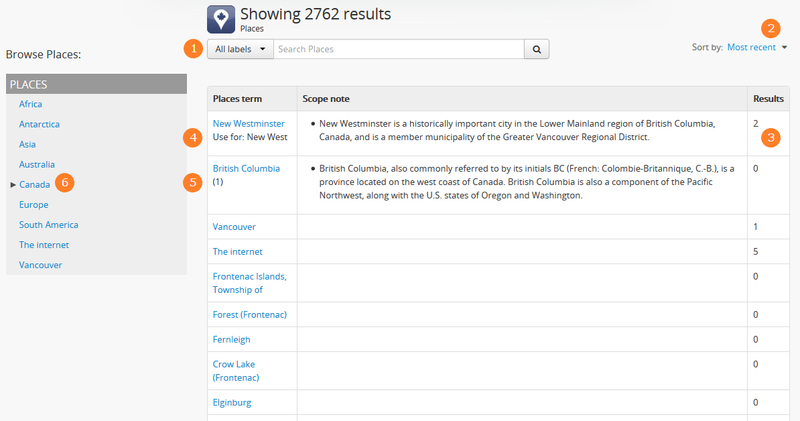 You can display all results by clicking the X on the “top-level descriptions” filter tag. 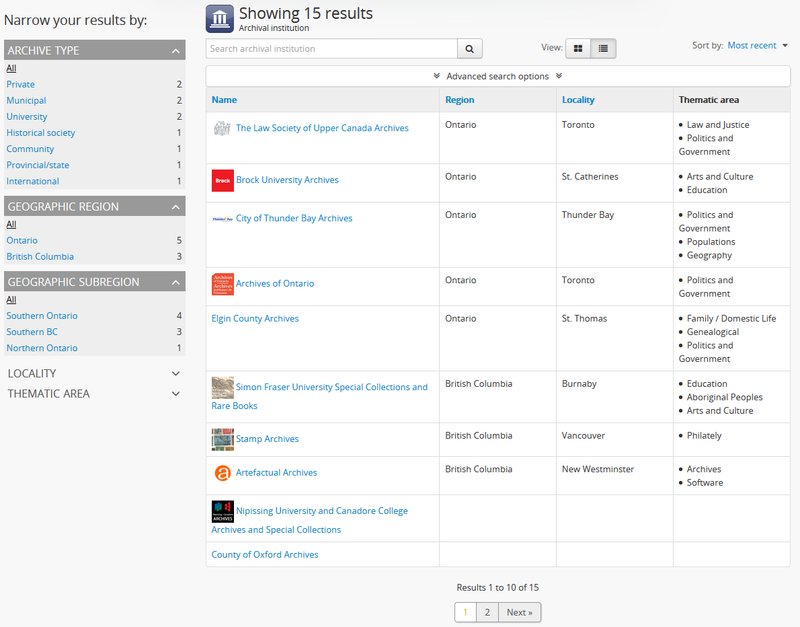 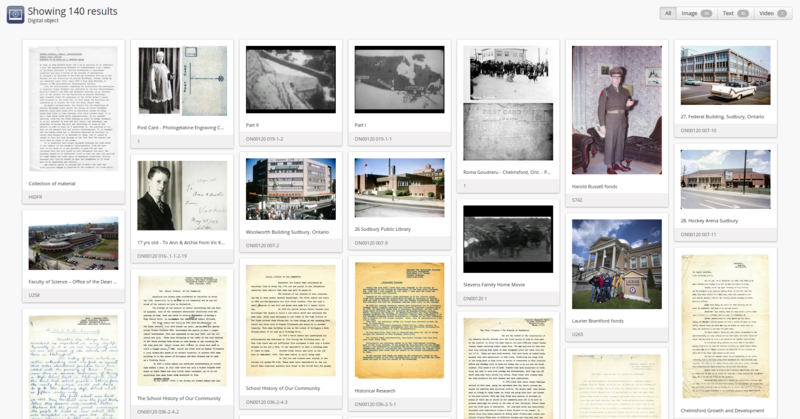 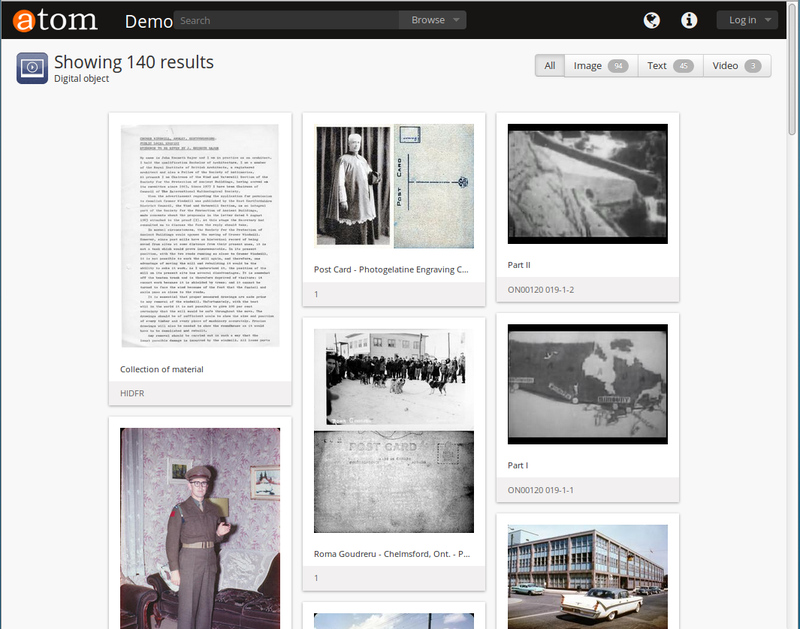 You can use the Sort button and the media type filter on the page to further sort or limit the results as desired. 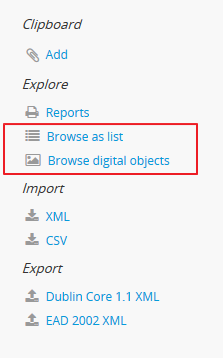 Only the digital object column is not sortable - this column will provide an indication of whether or not there is a digital object attached to the description - if so, the row will have a hyperlink called “View” in the Digital object column. 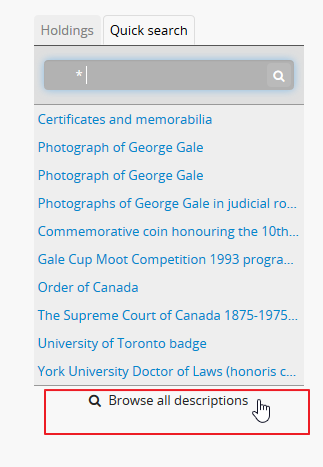 Clicking on the “View” link will take a user directly to the master digital object - if a user does not have permission to view the master, the column’s value will be empty for that row. 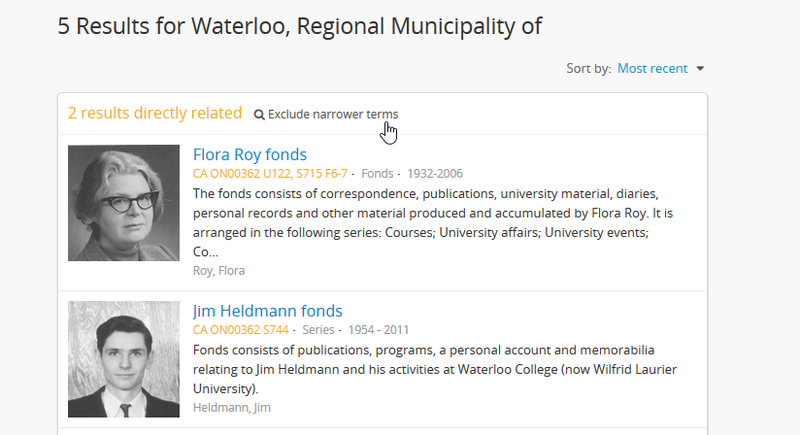 Users can narrow the results list using the available facet filters on the left-hand side of the screen, which for authority records includes language and entity type (Person, Family or Corporate body). 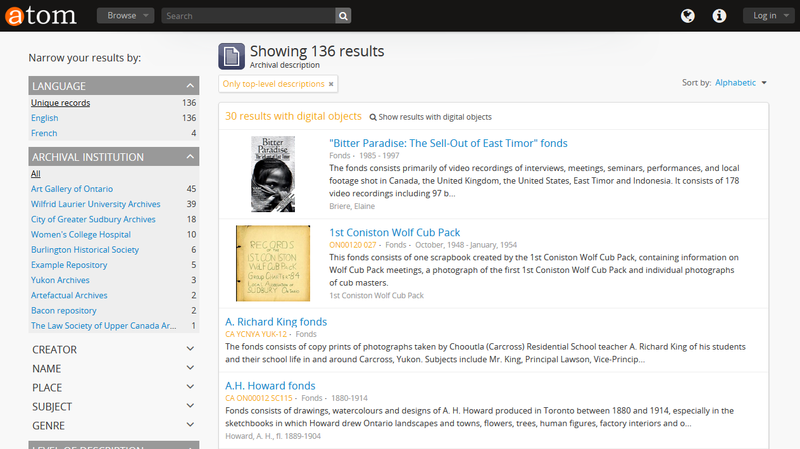 By default, AtoM will display 30 results per page; if there are more than 30 digital objects, a pager will be provided at the bottom of the results. 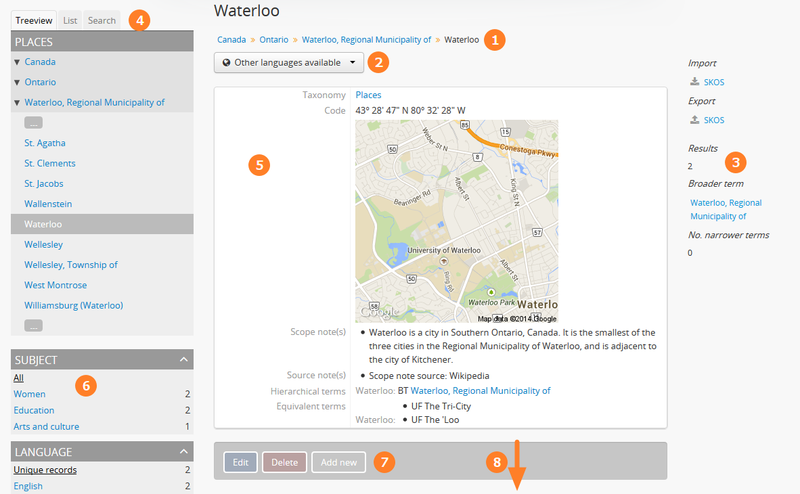 Users can filter the results by media type by clicking the facet filter buttons at the top of the search results. 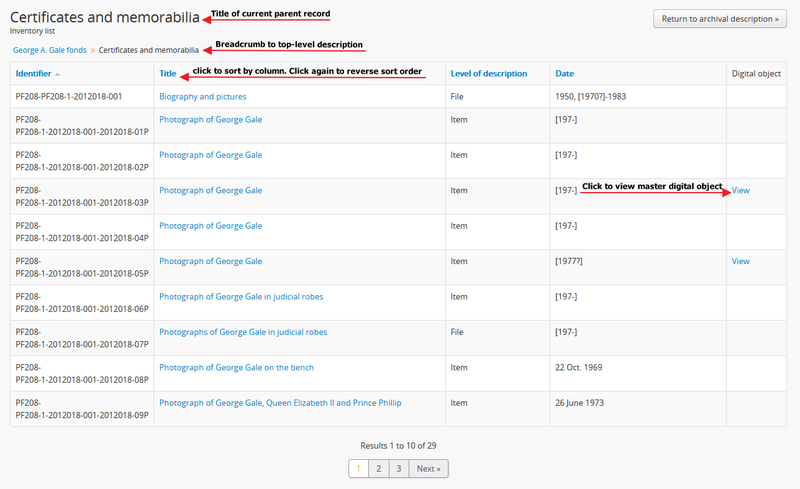 The automatic sort is alphabetic (title) for unauthenticated (e.g. 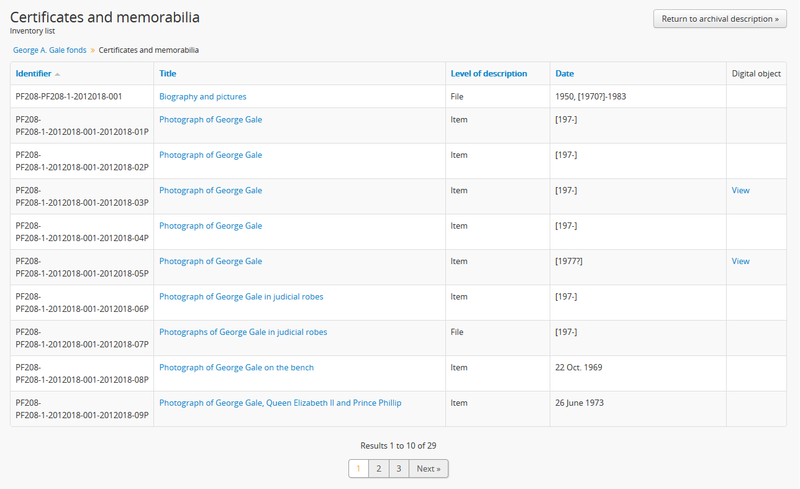 not logged in) users, which can be changed by the user to Most recent or alphabetic (identifier) via the Sort button at the top right of the page.